Whether you are a supplier or importer, you will benefit from our international experience and communication. Reliable producers under the guarantee of controlled supply chain meet global buyers. Please ask detailed information about our partners. Top quality Turkish originated dried fruits and nuts supply through Doraintrade for Farmer’s Snack range. Farmer’s Snack only bag the best fruits! The creation of Farmer’s Snack products does not start within the company but in the country of origin of the fruit or nut. This is why Farmer’s Snack like to show as accurately as possible where the product comes from,how it has been processed and the path it has taken until its final packaging. Best quality Turkish dried fruits, nuts and fruit pastes meet Castus brand through Doraintrade. The Whole Company is a Danish holding company for a number of Denmark's best-known brands and presents healthier alternatives to the market. Castus brand is placed under The Whole Company Holding and offers natural quality of on the go snacks. Cooperate with Doraintrade and become a regular supplier of The Whole Company. For nearly 60 years Delica has stood for high quality luxury foods. Delica AG is based Switzerland offering healthy, natural and high quality products. Since 1st of January 2007, Migros Betriebe Birsfelden AG is renamed Delica AG. Each and everyone of Delica products is full of the best quality ingredients plus a whole lot more. Delica is one of the most recognized centers of excellence in the professional handling of coffee and non-perishable foods such as dried fruits, nuts, seeds, spices and legumes. Delica supplies both retail and wholesales business as well as food producers and gastronomy business. Doraintrade is the exclusive agent of Delica in Turkey. Cooperate with Doraintrade and create long term business with our expertise. Doraintrade represents German origin KLANN Packaging in Turkey and brings you the best solution with decorative metal packaging by adding value to your products. 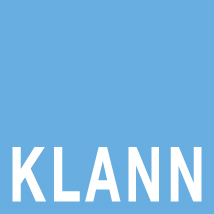 KLANN Packaging GmbH is a manufacturer of decorative and exclusive high-class tinplate packaging tins or aluminum packaging tins - Made in Germany! Based in Landshut/Bavaria, holds an Influental market position int the field of metal tins for individually designed, sales-promoting packagings. KLANN state of the art production facility (BRC and DIN EN ISO 9001 certified) united conception, dummy construction, tool shop, production & logistics - under one roof. KLANN metal packages are also suitable for food products. KLANN Packaging brings customized solutions and packages are using by premium suppliers in confectionery, coffee, tea, beverages, cosmetics, technical goods and promotion fields worldwide. Cooperate with Doraintrade and find your PASSION for metal packaging.